Do you ever ask yourself, “My life is so easy, I might as well be a basketball referee!” ? Well, my friend, you couldn’t be more wrong. According to Healthfully, to be a basketball referee is not an easy task to do, but it’s one of the most fulfilling ways you can show your passion and love for the game of basketball. 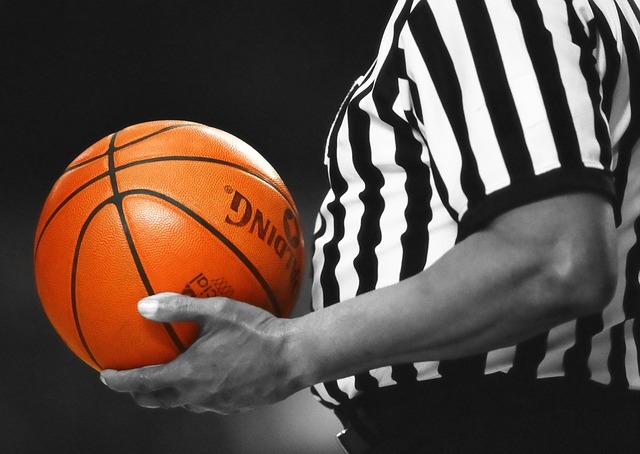 If you have a strong desire to become a basketball referee, then you’re in the right place. 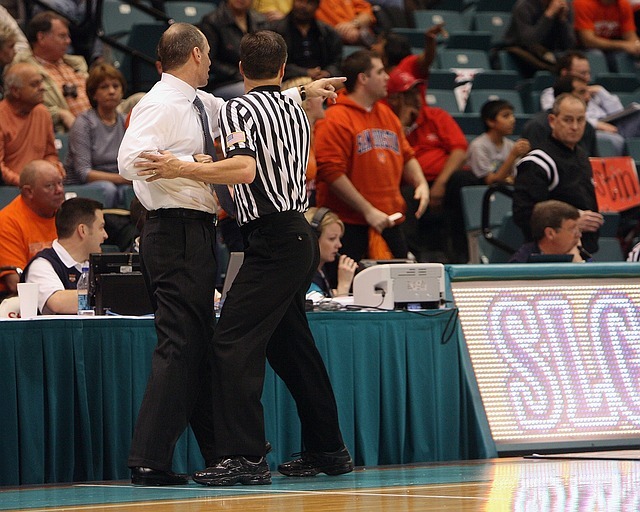 This article is your guide to learn how to fulfill your dream of becoming a basketball referee. Let’s get right to it. 1 What Are The Basics of Learning How To Be A Referee? 1.2 Master the hand signals. 2 How Do Referees Get Their Certification? What Are The Basics of Learning How To Be A Referee? According to Arbiter Sports, the first step in becoming the best basketball referee today is learning the basics. How can you teach when you don’t know how the game is played? You must serve as the master of the game regarding learning the rules and other important information. One way to do this is by purchasing a rule book that contains all of these rules and guidelines. In fact, some of the regions would have to require you to carry a rule book with you at all time during games. Game organizers may even also ask you to follow NBA or NCAA rules, which means that to be a referee, you should also invest buying a rulebook that’s specific to the appropriate organization handling the basketball game. Most of the referee’s job involves the hand signals they do when overseeing the game. On your free time, try to practice all the hand signals stated in the rulebook. Also, make sure that the hand signals you do are consistent with the rules specific to the state you’re playing. Make sure that you also know how to execute these signals and you have a solid idea on how to make the signals clear to the players. You can improve your execution by watching recorded games or actual local games in your community. Basketball games on TV could also help you get an actual idea of how the signals look in a live game. According to Chron’s website, attending classes on how to be a basketball referee allows you the first-hand access to relevant and updated information about being a referee. Experts would even go so far as to say that the background of the game can only be learned more effectively through a class. It’s even recommended to attend a training course with a referee that has at least three years of experience guiding you. These classes can give you a better idea of how the rules contained in the book differ from the actual live game. The theory may sometimes vary from practice. Getting an officiating person to guide you will help verify which of the book’s lessons may not be applicable in your particular setting. It may also help and boost your career as a referee to take multiple courses. These courses award you with certifications that can increase your reputation and exposure. If you’re worried that the organizations handling these trainings may not be authorized, verify the certificates of these schools first and check their history and previous students. Also, it’s sometimes only through these training classes that you can join in a live basketball game where you can officiate games, so make sure you invest in them. How Do Referees Get Their Certification? What’s the use of being a referee if you’re not officially allowed to do so? That said, after attending classes and mastering the game, you need to apply for certification from the officiating authority in your state or region. Don’t worry. Applying for this certification can be done online, and you’ll be over in minutes. Just make sure you pass all the tests, including the one where your skills will be tested in a live action game. You should know that there are different levels of referees. Some regions that authorize your certification can only allow you to officiate at certain games, depending on the tests you passed and on your actual gaming experience. There’s also going to be a background check on you, so make sure you have prepared all the necessary clearances on your profile before getting certified. After getting certified, you will be made to attend a series of seminars, meetings and group talks with fellow officials to discuss more the elements of officiating the sport. Be reminded that you’re going to pay a certain fee for the certification. The amount will depend on the region where you got certified. After passing the test, you may now start gaining expereince. Congratulations! Why Do Referees Need To Gain Experience? One good way to increase your reputation as a basketball referee is to acquire as many experiences as you can. Begin boosting your experience by officiating in your local community’s children games. Most of the referees today usually start their volunteer training at the middle school level. They usually act as referees for games attended by 7th and 8th graders. According to AYSO, volunteering in these children’s games is a good opportunity to develop your grasp on the game dynamics of being an official. Young kids’ games are usually slower in pacing, so this provides you with ample time to learn the actual officiating process with a much more detailed pace. Most of the art of being a referee will come from following the veteran officials. Before becoming a referee in an actual adult basketball game, you have to be an umpire first to a lead referee. According to Become A Referee, you should take advantage of this time to learn from the veterans both the written and unwritten, first-hand and experience-based training that you might not have learned in your classes.